Lots of people are writing about the Brain Activity Map, the proposed $3 billion Neuroscience project. This is my first post — color me skeptical. Here I’ll discuss one reservation. As far as I an tell, the project is not hypothesis driven. 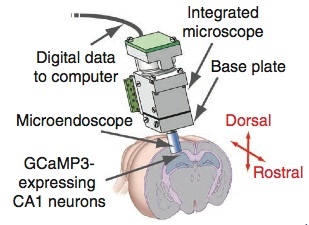 The project is pure technology: use big science to record every cell in the human brain. 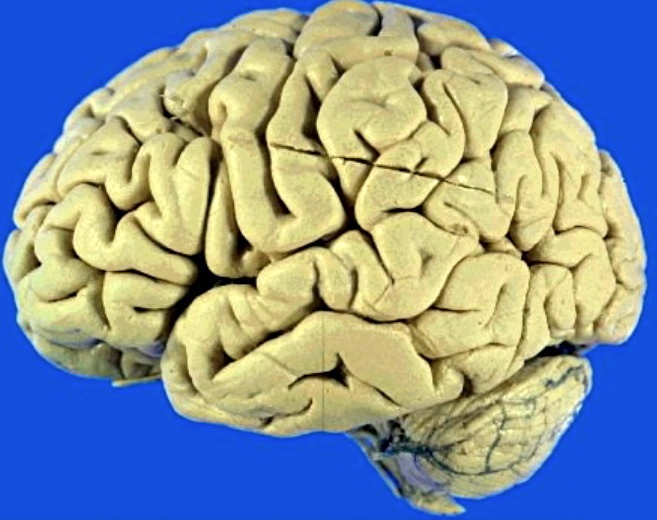 Start with small brains and, as the project moves along, do bigger and bigger brains, finally recording from every cell in the human brain. Then what? I love Neuroscience and I love advances in technology, but to put so many bucks into one direction of technology, without a strong guiding hypothesis seems foolish. I have no doubt that as the project moves along many things will be learned. But without a guiding hypothesis, will it be worth the costs? “I want to be able to record from every neuron in the brain at the same time,” Dr. Yuste replied. Yes, Dr. Yuste, I want to do that, too. But why? What are the questions? I don’t hear a hypothesis. Without one, its impossible to do cost/benefit analysis. Cross your fingers, click your heels, will magic happen? A billion here, a billion there, eventually you’re talking real money. The inability to create a central hypothesis is due to the primitive state of current neuroscience. We really don’t know how the brain works, how you go from the disparate firing of millions of neurons, to the cohesive nature of thought and action. My guess is that such a unifying hypothesis is possible, but that generating the hypotheses will not require recording all cells at once. Better lots of smart minds on smaller projects to build a hypothetical framework. Perhaps then a big, unifying project can and should be attempted. I may be wrong. There may be a crucial set of important hypotheses to be tested. I’d like to hear them. 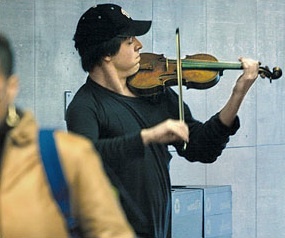 Who is that Fiddler in the Subway? Bjorn Brembs (@brembs) tweeted a link to an amazing story by Gene Weingarten from the Washington Post (2007). Brembs called it, “an amazing behavioral experiment”, which it is. It is also a great read. If a world-famous musician performed in the DC subways during commuter hours, would people notice? Sounds like a cute set up, a fairly typical playful story. Weingarten and crew were able to get Joshua Bell to help with the experiment. The suggested irony is that people pay big bucks for a seat at sold-out performances to hear Bell. What would happen if he played, unannounced, in an unexpected context? The prediction (ha ha) is that very few would stop or listen. And that’s what happened. But the story is much deeper, and the depth of the story sheds light on aesthetics, attention, artistic performance and especially on the beauty of individual differences. Headstage on mouse brain. Ziv et al fig 1a. Are we conscious when driving?